Abhishek Kar is a Ph.D. candidate in IRES at UBC and was a participant in the 2018 Young Scientists Summer Program (YSSP) at the International Institute for Applied Systems Analysis (IIASA). He was previously a Research Fellow at the Energy and Resources Institute (TERI), an Indian think-tank. Over the last ten years, his multi-disciplinary research experience (and published work) spans aerosols, human behavior, and policy analysis related to household air pollution in specific and energy access in general. His doctoral dissertation entails application of classical behavior change theories in conjunction with large consumer behavior datasets to better understand clean cooking energy transitions. 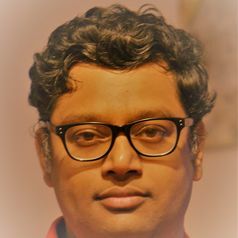 Abhishek has co-authored ten peer-reviewed research articles in reputed journals such as 'Environmental Science and Technology' and 'Energy Research and Social Science'. He has also written op-eds in popular media such as Hindustan Times (India; Print+Online), National Post (Canada) and Fin24 (South Africa). His articles have been shared widely on social media, including by the Prime Minister of India, and quoted by journalists. He has appeared in the Jill Bennett Show- a news program in CKNW radio, Canada.